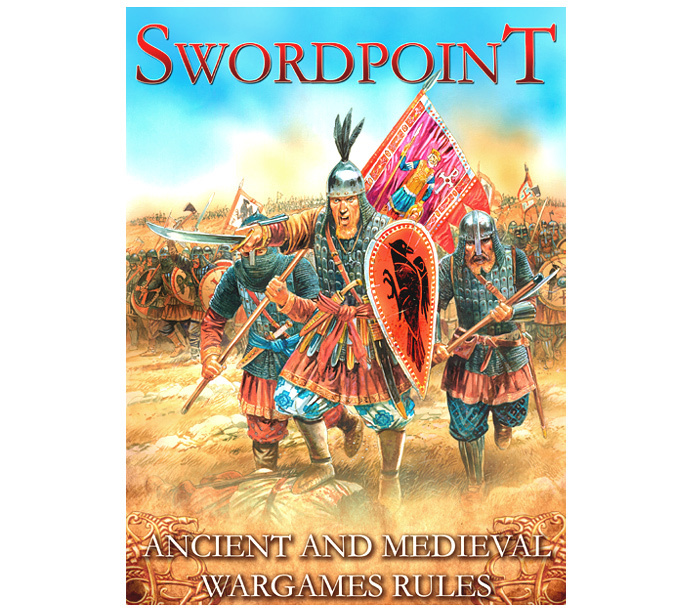 SWORDPOINT is a new set of “Big Battle” game rules for fighting actions in the ancient and medieval periods. Games of SWORDPOINT involve between 100 and 250 figures per side arranged into multiple units. The game is designed to last about 2 hours and encourages the use of historical tactics and emphasises the need to maintain cohesion in the army’s battle line, without being prescriptive. An extensive series of publications is planned and the game will enjoy the support of web downloads, living FAQ and a range of supported events. 66 pages in full colour including three page full index! 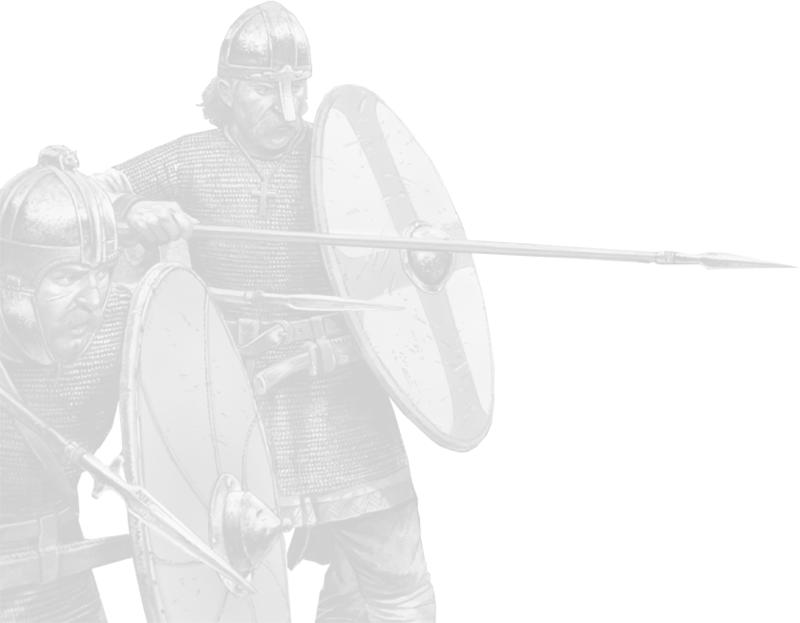 Contains 12 Army Lists to get you started: Later Carthaginian, Republican Roman, Early Imperial Roman, Sassanid, Dark Ages Britain & Ireland, Later Imperial Romans, Vikings, Later Saxon Kingdoms, Anglo-Danes, Norman & Breton, Medieval Russian, Teutonic Knights. 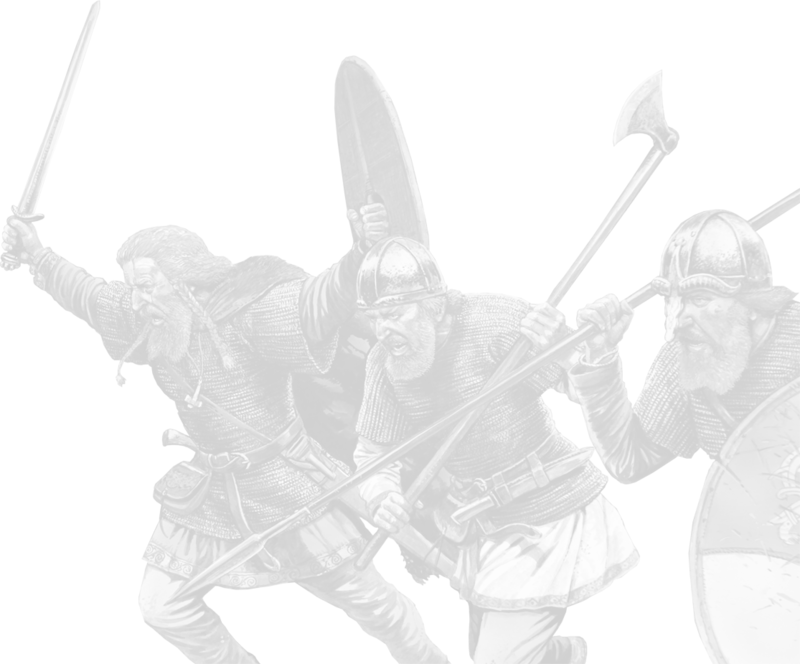 Further Army List available for free in the Swordpoint Downloads section!